Apparently, there are cases where general anesthesia seems to not work completely on a patient and the patient feels the surgical intervention unable to move and speak, feeling all the pain during the surgery my question is: Is this Anesthetic Awareness real? And if it is What is the cause of it? Perhaps anesthesiologists don’t have enough anesthetics or there is medical malpractice, etc. There is a movie called “Awake” based on Anesthesia Awareness, which was filmed in 2007. I saw that movie and that’s why I am asking about it. Ruanel: Anesthesia Awareness is real in very few cases, it’s clinically proven and it has to do with a disorder in the nervous system of the patient. Interlocutor: A physical disorder in the patient? Interlocutor: Is there an engram capable to inhibit anesthetics? 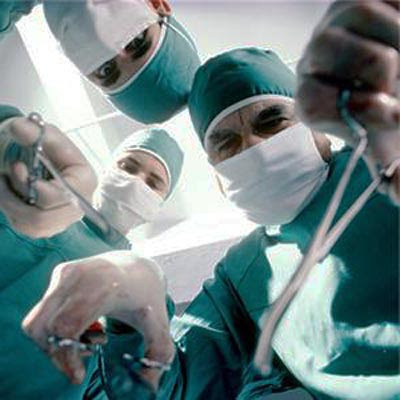 Interlocutor: So the patient is completely paralyzed and he feels all the pain during the surgery? Interlocutor: Can this condition be prevented in advance or it’s something accidental? Ruanel: There must be a study on the nervous system in each patient and that is something that medics don’t do, they make cardiac tests related to the anesthetics etc, These studies are complex. Interlocutor: Can these studies be made on the patients to see if they will have this kind of reaction? Interlocutor: But they don’t do it because these studies would take time and they would be expensive, Am I right? Interlocutor: So the gist of the issue has to do with neurological research. Interlocutor: Is there some karma involved in these cases? Ruanel: We are talking about engrams. Interlocutor: Okay, Is there something else to add about this Master? This entry was posted at Thursday, November 26, 2009 and is filed under Medical Science . You can follow any responses to this entry through the .